About a year ago, my friend invited her mother-in-law to move in with her, her husband, and their two school-aged children. And my friend did so willingly. Enthusiastically, I might even say. You see, their cohabitation was an act of practicality that all parties desired. the mother-in-law couldn’t live alone anymore for health reasons, but she was able to provide a much-needed down payment for the purchase of a spacious house for my friend and her husband. And for the kids, grandma’s incumbent move surely meant lots more chocolate and other treats, right? Despite the joy that an inter-generational living situation brings, such a move can be stressful as well. An aging parent coming to live with you and your family will certainly highlight differences in child-rearing philosophies, standards of housekeeping, food choices, and daily routines. A friend who’s been there – or even a counselor – can help with the day-to-day stresses and emotional roadblocks. And there are several legal matters that you should consider as well. 1. Talk to your accountant about tax consequences. If you pay for more than half of your parent’s support during a calendar year, you may be eligible to claim the parent as a dependent on your tax returns. Additionally, you may be able to deduct for other costs, such as medical expenses or modifications to your home made to accommodate any medical conditions. 2. Contact your child’s school and doctor to get grandma (or grandpa) permission to pick up from school and to consent to medical treatment. Typically, the school or pediatrician’s office will have a standardized form for you to complete. However, if you desire the grandparent to have more comprehensive rights, such as permission to consent to treat at any hospital or sign any release form for extracurricular activities, an attorney can draft the pertinent document. If grandma or grandpa is going to be dependent upon you and your spouse for financial or physical support, you need to plan for provisions in the event that you pass away unexpectedly. For most of us, money is a prime concern in such a situation. My friend had her mother-in-law take out life insurance policies on her and her husband. then, if something happened to either or both of them, their own life insurance policies would go to their kids, and the mother-in-law would be able to live off the policies she owned. 4. Encourage the grandparent to address end-of-life decisions. As our parents get older, the chance that they will need help making healthcare decisions increases. Discussing their wishes and preferences now is paramount. the best bet is to ask senior loved ones to create advance directives, which include detailing healthcare wishes and designating someone to make health decisions in the event of incapacity. 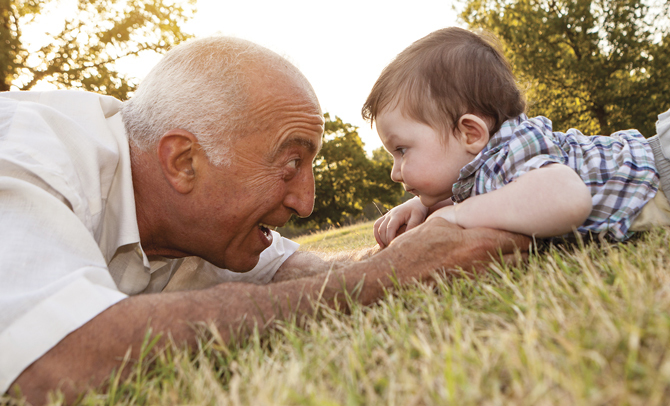 Inter-generational living can be a positive adjustment. if you prepare wisely, you can happily make room for the wisdom, love, and extra set of hands that grandma is bringing – and those desserts the kids are counting on, too!